Work pieces are to be packed in such a way that they cannot be damaged by exterior forces and cannot damage each other. Packing should – for environmental reasons – also be used for return transport. In order to protect them against corrosion, the work pieces may be treated with a water-displacing oil that can be removed during alkaline cleaning to leave the work piece entirely residue-free. Gloss-polished surfaces should be covered up. 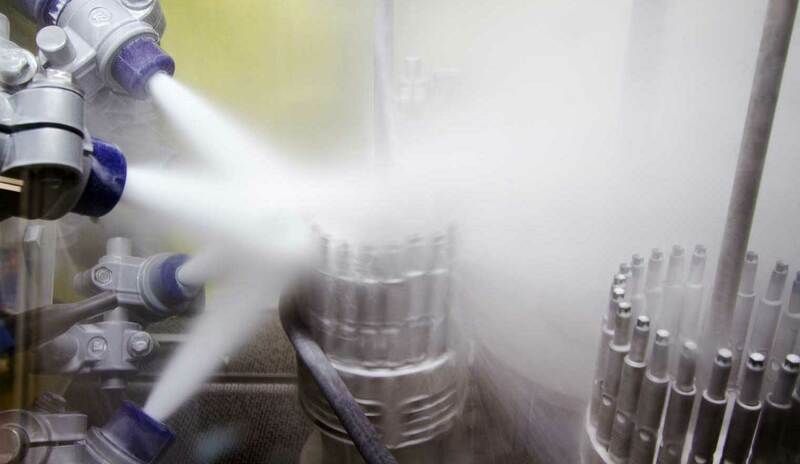 In order to prevent unsatisfactory coating results, detailed information on the material, on the heat treatment and on the last processing steps performed is indispensable. For best results, use our „coating order form“! Thus, you can make sure that all information required for your coating project has been transmitted to us. We ask for your understanding that first orders exclusively need to be discussed and clarified via telephone or e-mail in advance. Just contact us – we are looking forward to successful collaborations!